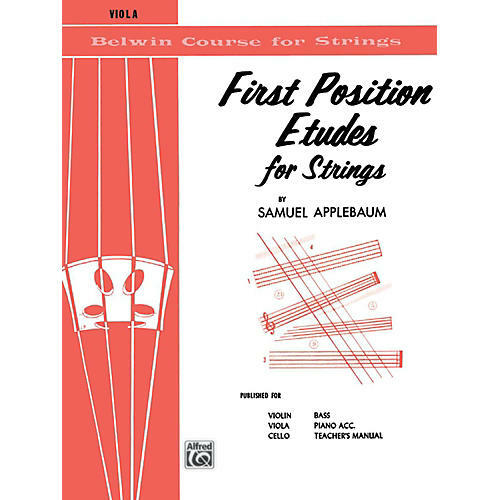 First Position Etudes for Strings is written for the second year string class or string orchestra. The etudes are to be started when the string group reaches Page 10 in Volume I of the String Builder. They may, however, be used in conjunction with any standard string class method, as this book is a complete unit in itself and may be used separately for class or individual instruction. The string parts are played in unison with piano accompaniment. Each etude is interesting and has its specific technical value for the left hand and for the bow arm. Published for violin, viola, cello, bass, piano accompaniment, and teacher's manual.